When it comes to home studios most people only have a set of near field monitors. Since the acoustics are usually far from perfect in a home studio deciding where you place your speakers is important. 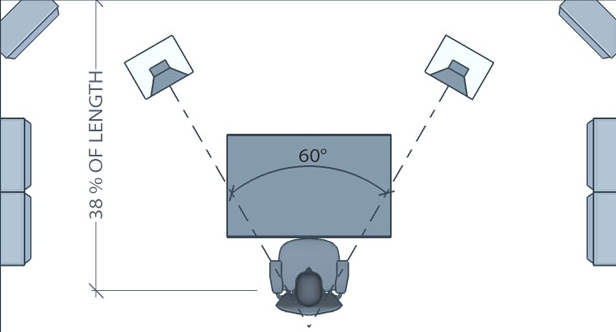 It is often stated to create an accurate stereo image the distance between the speakers should equal the distance from each of the speakers to the listening position. It is not uncommon in home studios that the speakers are placed to far apart which can cause an uneven stereo image which can lead to you making bad balancing decisions in the mix. Try to keeps things as symmetrical as possible in order to establish proper image balance.